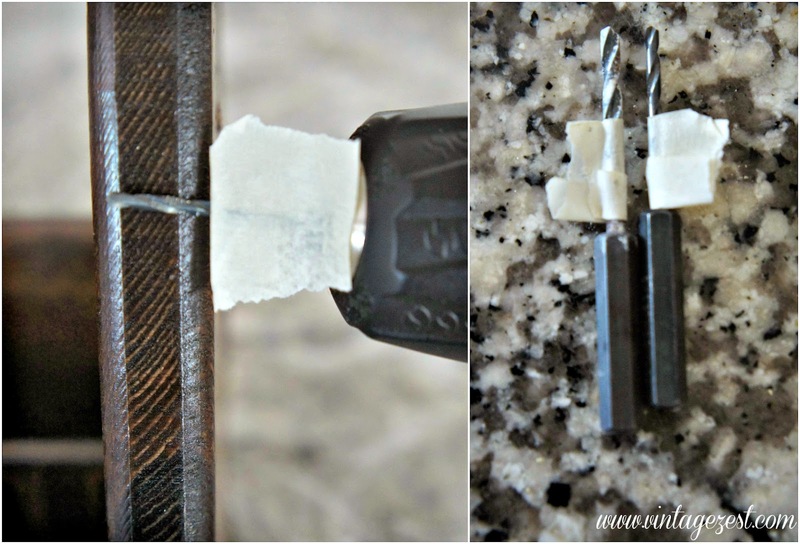 Woodworking Tip: How to Make a Easy Drill Bit Guide! ~ Diane's Vintage Zest! Remember how a year ago I started woodworking, and it was so fun and exciting, and I was making progress on some really fun projects? And then nothing showed up on the blog? Well, please forgive the slight delay, but over the the next few weeks I will actually share a few of the woodworking items I made! This week, I wanted to share a quick tip that was super helpful while putting together my last project. 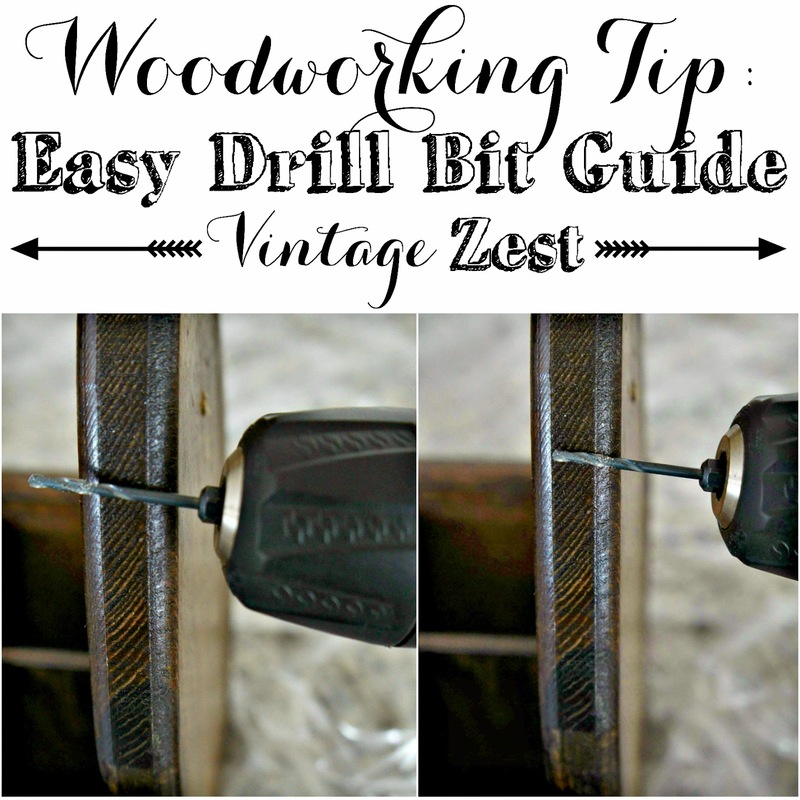 It is useful for just about any time you need to use a drill, even if you are not working with wood. Basically, this helps with the question, "what do you do when you have to drill a lot of holes at a very specific depth?" During my last project, I wanted to drill some holes not through the piece of wood, but only about 3/4 of the way through. That meant lots of checking and rechecking while I was drilling to make sure I was going deep enough without breaking through to the other side. Use masking tape! 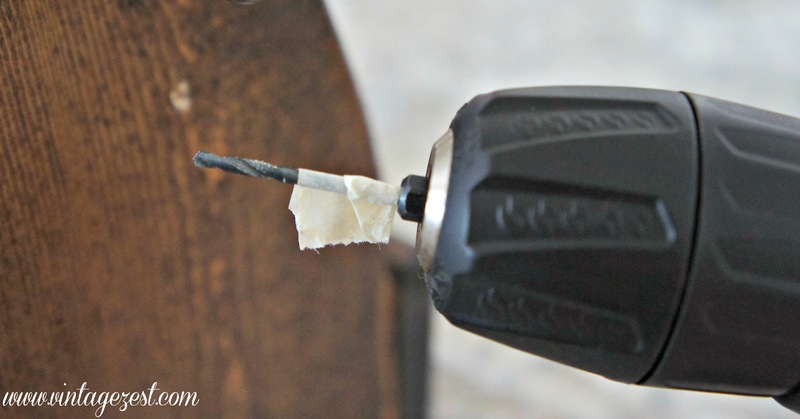 Just mark off where you want to stop drilling, and wrap it around like a little flag! 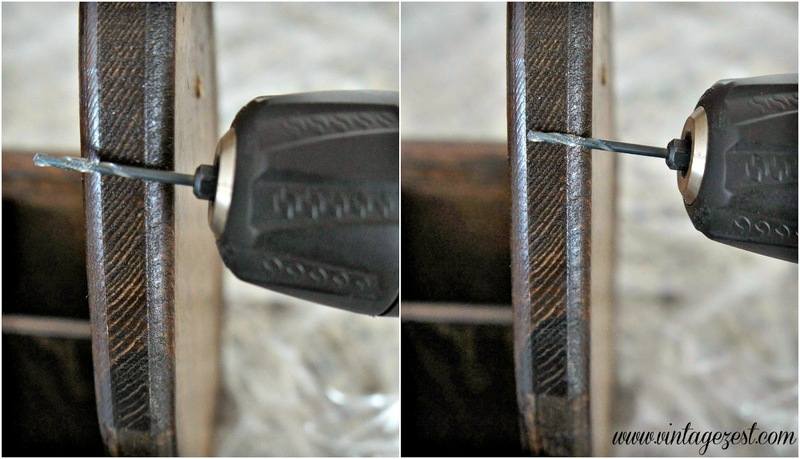 Stop drilling once your tape hit hits the wood, and no matter how many holes you need to drill, they will be even without all that checking and rechecking, . 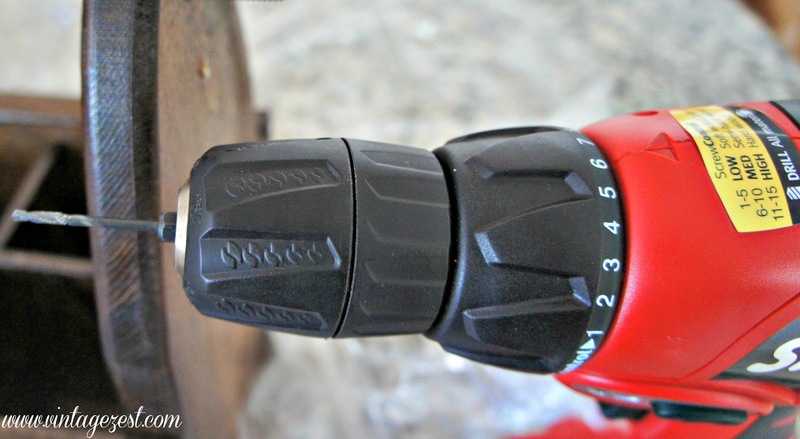 Bonus, you can use one guide for the rest of the drill bits, so you only need to measure once. 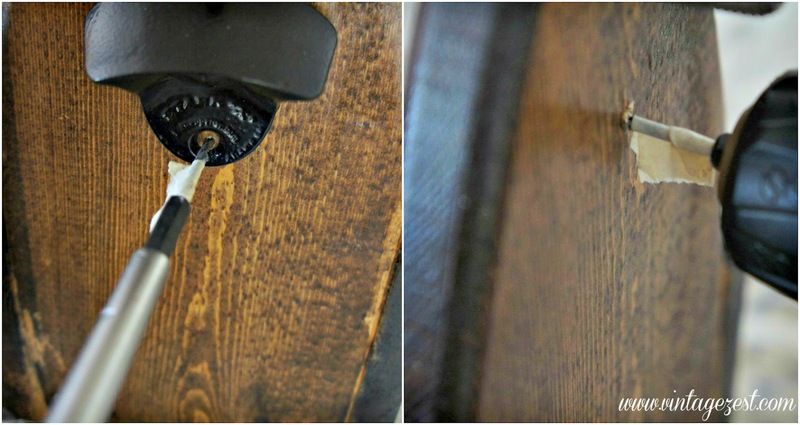 Super bonus, the little "flag" part on the end will clear away the wood shavings that accumulate while you are drilling. Yay! Do you have any newbie woodworking tips? Oh wow. What a great tip! That is a great idea- we are about to drill some shelves tomorrow for a new playroom toy system, so this will come in handy. Awesome tip! Look forward to seeing the projects that come with your new woodworking skills! Thanks for linking up to Best of the Nest! This is a great tip. Thanks so much for sharing with Adorned From Above's Link Party. Look for the new party up tonight. Fabulous tip! I'm jealous of your woodworking skills! I've got zilch in that department! Thanks so much for the inspiration and for sharing on Show Me Saturday. I can't wait to see what you share this weekend! Pinning!